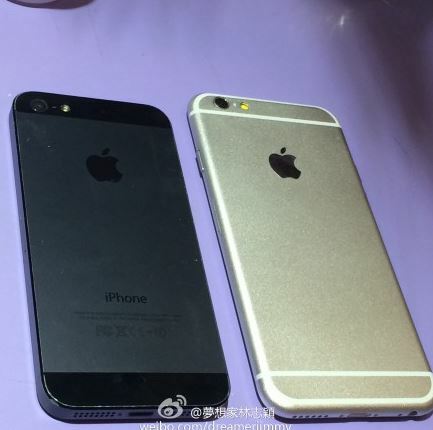 The Taiwanese celebrity helped us see how the 4.7-inch iPhone 6 looks like when compared to an iPhone 5s. However, we haven’t seen many 5.5-inch iPhone 6 compared to other similar smartphones. In today’s latest, we have a video that compares Apple’s upcoming expected phablet with the Samsung Galaxy Note 3 and the 5.5-inch LG G3 – considered to be primary rivals. TechSmart has put together this video comparing the dummy units of 4.7 inch and 5.5 inch iPhone 6 along with various other smartphones. These include the current 4 inch iPhone 5s, 5.7 inch Samsung Galaxy Note 3, and the 5.5 inch LG G3. Here is the video where you can see how the upcoming Apple iPhones will look against some of the currently available smartphones. The video above compared the 5.5 inch iPhone 6 with other smartphones quite comprehensively taking note of the unnecessary space taken by the top and bottom bars. 5.5 inch iPhone 6 surely looks a little taller than the two other phablets, Note 3 and LG G3, but that just follows with the current design ideology of iPhone.